KANSAS -- A woman convicted of second-degree murder following a dog attack that killed an 11-year-old boy in 1997 is seeking a new trial or another appeal. Sabine Davidson of Milford was convicted in January 1998 and is serving a 12-year prison sentence. She had remained free during her appeal until the Kansas Supreme Court upheld the conviction in July 1999. The court said that Davidson "created an unreasonable risk and then consciously disregarded it in a manner and to the extent that it reasonably could be inferred that she was extremely indifferent to the value of human life." 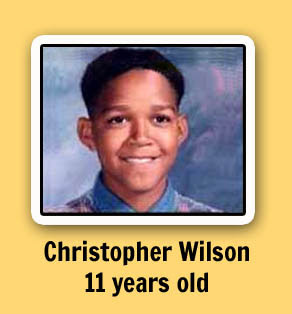 Christopher Wilson, 11, was killed on April 24, 1997, when attacked by three Rottweilers as he and his brother were waiting for their school bus. The boys climbed a tree to get away, but when Christopher came down he was attacked and dragged some 70 feet to a ravine. Davidson's husband, Jeffrey, had also been charged with unintentional second-degree murder, but he pleaded guilty to the lesser charge of involuntary manslaughter and was placed on probation. He was not allowed to own dogs during that probation period. Sabine Davidson dug her heels in and absolutely refused to take any plea offer that would have spared her prison time. Her attorney was quoted as saying she didn't feel like she didn't anything wrong. 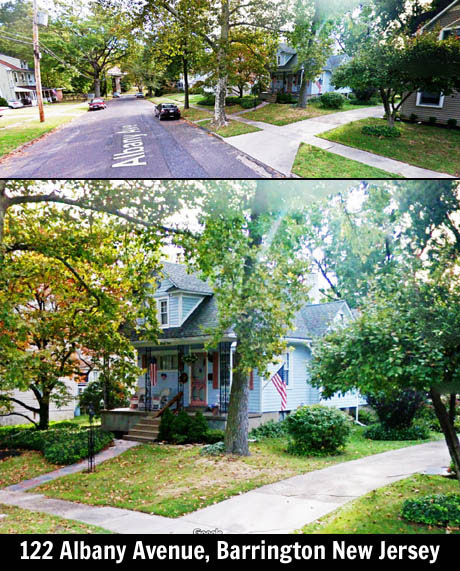 However, during the trial numerous neighbors testified as to the aggressive behavior of the dogs. Trainers from a sort-of protection dog training club (think police K9 training) testified that Sabine Davidson brought her dogs there often, couldn't control them and was basically a weirdo that they didn't want around. Neighbors also testified that they saw men in the Davidsons' yard wearing those bite-sleeves that police dog trainers use to have the dogs attack them. It was clear that the dogs were: aggressive, trained even more to be like a guard dog, able to get out and escape the Davidson property seemingly whenever they wished, and the Davidsons had created and cultivated these deadly weapons that eventually attacked and killed a child. Sabine Davidson was back in Geary County District Court on Wednesday, asking Judge Larry E. Bengtson for a new trial or appeal on grounds that she had ineffective legal representation in the first appeal. She contends that Keith Sevedge of Lenexa, the court-appointed attorney representing her during the appeals process, failed to bring up pertinent issues that would have helped her case. Ralph DeZago, arguing on her behalf Wednesday, said an appellate court will address only issues brought to its attention, and that other issues that the trial attorney listed as pertinent "just didn't get raised." DeZago would not say any one particular issue was more important than another. "This poor lady is here with all these issues that needed to be raised, and they weren't," he told the court. At the trial, Davidson and her attorney had raised the possibility that dogs other than her Rottweilers were responsible for the attack. That issue surfaced again Wednesday when DeZago questioned what had happened to teeth scrapings ordered to be taken from the Rottweilers after the attack. Results of the scrapings were never presented in court during the trial. DNA from the scrapings, DeZago contends, could have shown if the dogs that did the mauling were in fact Davidson's. Ron Hodgson, who represented Davidson at the trial, was asked Wednesday why he did not press that issue. He said that as defense attorney it was not his responsibility to prove whether the victim's DNA was or was not present on Davidson's dogs, which were killed by Geary County deputies on the day of the attack. "It was not the defense's job to do that," Hodgson said. THE LITTLE BOY'S BROTHER WAS AN EYEWITNESS. THE SCHOOL BUS DRIVER SAW THE THREE ROTTWEILERS ATTACKING THE LITTLE BOY. THE FIRST DEPUTY TO ARRIVE SAW THE DOGS ATTACKING THE LITTLE BOY; HE SHOT AND KILLED THE LARGE MALE 80-LB ROTTWEILER, CAUSING THE TWO SMALLER FEMALE ROTTWEILERS TO RUN AWAY. However, he said he did argue to the jury that the prosecution had not brought up that evidence. Beth Gillmer-Jones, a sheriff's detective who was the principle evidence custodian during the case, said oral scrapings were taken from the dogs and that to the best of her knowledge those results are still at Kansas State University, where the dogs were examined. "I did not receive any swabbings or slides," she said. The judge is expected to issue a written decision in a week or two. A woman whose dogs fatally mauled an 11-year-old boy will remain in prison after a judge denied her request for a new trial, Geary County Atty. Chris Biggs said Monday. Sabine Davidson was convicted in 1997 of unintentional second-degree murder, after her three Rottweilers attacked and killed Christopher Wilson of Milford while he waited for a school bus. The Kansas Supreme Court upheld the conviction in 1999. In April, Davidson challenged her conviction, saying her trial attorney was ineffective, and failed to have DNA testing done on scrapings from the dogs' mouths. She also alleged that her attorney on appeal was ineffective for not raising additional issues during the appeals process. NEW JERSEY -- Back in 1998, a Rottweiler attacked a young girl named Kayla Pippin while she was at her neighbor's swimming in their pool. Kayla's mother sued the Rottweiler's owners, Christine Agresta and Carol Fink, for her daughter's injuries from the dog. Carol Fink tried to argue that she was not technically the dog's owner, that she wasn't the one who originally purchased the dog - her girlfriend did. However, the court determined that both women - who lived together as a couple - considered the Rottweiler "their dog" and evidence of their actions showed they both enjoyed the benefits and burdens of the pet. 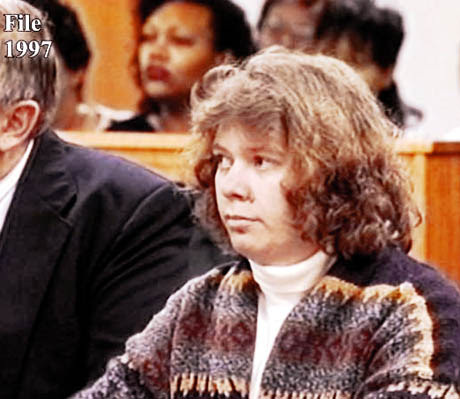 Therefore, the court held that Carol Fink was one of the Rottweiler's legal owners and as responsible for the bite to the little girl as Christine Agresta. Kayla PIPPIN, a minor by and through her natural mother Guardian ad Litem, Joan Pippin, and Joan Pippin, individually and in her own right, Plaintiffs-Respondents, v.
Carol FINK, Defendant-Appellant v. Christine Agresta, Defendant-Respondent. 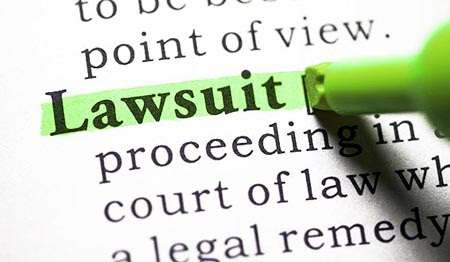 Pursuant to leave granted, defendant Carol Fink appeals from an order denying her summary judgment, on a complaint against her for injuries to the infant plaintiff as a result of a dog bite. The relevant facts are that on Saturday, May 23, 1998, Kayla Pippin, along with other children Amanda Baliff, Justin Baliff and a girl named Jessie, walked to 122 Albany Avenue in Barrington to use the pool on the property owned by Carol Fink. The request of the children was not unusual since Kayla and other neighborhood children had previously used the pool. Carol told the children they could go swimming only if one of their mothers supervised. The children walked to the Baliff home and spoke to Janice Baliff, who agreed to come over in a few minutes. The children returned to wait by the pool. Kayla applied her sunblock and sat at the top of a slide leading into the pool. Zeus, a 110 pound Rottweiler dog which lived with Carol and Christine, was “doing laps” in the pool. Kayla and the other children had played with Zeus both in and out of the water on other occasions without any problems. However, when Kayla slipped and slid down the water slide into the pool, Zeus bit her on the cheek and the arm. Carol rushed to aid, placing a towel on Kayla's face. An ambulance was called, and Kayla was taken to the hospital. Zeus was purchased by co-defendant Christine Agresta from a Pennsylvania pet store in 1994 when he was five months old. At that time Christine lived in Philadelphia. Carol was her co-worker and friend. When Christine told her she liked Rottweilers, Carol mentioned she knew of one for sale. Both women went to the pet store on at least two occasions. According to Christine, Carol convinced her to buy the dog she named Zeus. A short time later Christine moved with Zeus to Rochester, New York and lived there for about a year and a half. During that time Christine was Zeus' sole caretaker. She registered him and listed herself as owner. By 1996 the relationship between Carol and Christine had grown beyond friendship. Christine and Zeus moved into Carol's home where the two women shared expenses, established a joint bank account and lived in every way as a couple, considering themselves life partners. They purchased another dog they named Mitzi and registered her with the municipality listing themselves as joint owners. While they did not so register Zeus, they considered him “their dog.” They shared his expenses as well as feeding, walking and otherwise caring for him. After the incident with Kayla, they jointly participated in the decision to euthanize him. Both plaintiff and Carol Fink moved for summary judgment on the issue as to whether Carol falls within the statutory definition of an “owner” for imposition of liability under the statute. The motion judge denied both applications. We granted Carol's motion for leave to appeal. However, we have held that the statutes are not to be read in para materia since the Rabies Control Act is a regulatory statute mandating uniform licensing of dogs for the community health goal of preventing spread of rabies while the dog bite act serves a narrower purpose of eliminating scienter in a civil action to impose strict liability in favor of a bite victim. Cases dealing with common law liability for an injury caused by a dog attack have used the description “owner” interchangeably with a “harborer” or “keeper” in the inquiry as to whether there was knowledge of a dog's vicious propensity and a failure to control the animal. However, the dog bite act is in derogation of common law, and its terms must be strictly construed. Accordingly, we cannot rely upon the broad reading of “owner” in the cases interpreting common law liability. We refused to extend the statute to affix liability on a landlord who allegedly knew that a tenant's dog was improperly on the premises. Similarly, we found that a homeowner who permitted stray dogs to remain on his property was not subject to strict liability under the statute. Carol argues that under a properly narrow reading of the statutory language she cannot be considered the “owner” of Zeus because it was Christine who purchased Zeus and registered him in New York. However, while purchase and registration are significant evidence of the identity of a dog's “owner” within the meaning of the act, they are not determinative. Circumstances existing at the time of the dog's bite must be examined, and the actions, attitudes and understanding of the suggested owner or owners must be considered. Both Christine and Carol testified that they considered Zeus “their dog.” Their actions comport with the usual understanding of dog ownership by a couple. They shared the burdens and benefits of Zeus as a family pet and held themselves out to the world as his owners. In light of these undisputed facts we hold that Carol as well as Christine was an “owner” of Zeus. Since plaintiff made no cross-motion for leave to appeal, we would not ordinarily consider her argument that the trial judge erred in failing to grant her summary judgment as to Carol's liability under the dog bite act even though the issue was briefed and argued by the parties. However, consideration of judicial economy in light of our decision on the appeal by Carol leads us to decide the issue. Since we have held that Carol was an “owner” of the dog within the meaning of N.J.S.A. 4:19-15.1, we reverse the denial of summary judgment to plaintiff. Affirmed in part. Reversed in part.